Ancient descriptions of diabetes mellitus can be found in Chinese, Hindu and Greek writings. and “mellitus” means “sweet-tasting” (sugar in urine). In the 18th century, Dobson in England described high blood and urine sugar in diabetics. In December 2nd, 1921, Leonard Thompson, a 13 year old boy, was admitted to Toronto General Hospital with juvenile-onset diabetes mellitus. He would have probably died soon if Banting and Best had not injected him with an extract from beef pancreas glands. By the 1980s recombinant DNA techniques allowed synthesis of pure human insulin in bacteria. Banting and Best (working in the MacLeod lab in Toronto) described their purification of insulin in 1922. The 1923 Nobel Prize was awarded to Banting and MacLeod. The 1958 Nobel Prize was awarded to Fred Sanger of Cambridge University “for his work on the structure of proteins, especially that of insulin”. 14 to 16 million people in the US have diabetes mellitus, up to 50% of cases going undiagnosed. In the US, more people die annually from diabetes than from AIDS, breast cancer, and automobile accidents combined. Diabetes is a major cause of death and dissability in the US. It occurs equally in males and females. There are three types: insulin-dependent (IDDM, aka Type 1 or juvenile onset), non-insulin dependent (NIDDM, aka Type 2 or adult onset), and gestational. Type 1 accounts for 5-10% of cases, while Type 2 accounts for 90-95%. Gestational may be temporary or develop into Type 2. Type 1 diabetes is due to auto-immune disease that destroys the B cells of the pancrease. The sorce of the auto-immune disease is not known, but may involve genetic or viral factors. It is more common in whites than non-whites. Symptoms include increased thrist and urination, constant hunger, weigth loss and blurred vision. Glucose will build up in the blood and if untreated will lead to diabetic coma. Gestational diabetes develops or is discovered during pregnance. It often disappears after pregnancy, but patients are more likely to later get Type 2. Type 1 and gestational diabetes are successfully managed by a daily regimen of insulin injections. Type 2 diabetes is more common in non-whites, and native americans have specially high rates. The onset of the disease occurs around age 40 and is more common in overweight patients. Very obese patients may even get type 2 diabetes early in life (chilhood-teens). The pancreas initially produces adequate insulin but the peripheral tissues cannot use it efficiently. Thus there is a high production of insulin in order to compensate, but this eventually fails, leading to diabetic symptoms that develop gradually: feeling unwell, increased thirst and urination, wegth loss, blurred vision, infections, and slow-healing of skin injuries. Loss of action by the normal amount of insulin (i.e. insulin resistance) may exist for a decade before onset of Type 2 diabetes. 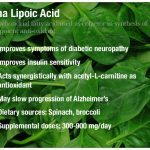 This is associated with obesity and may be mediated by an increase in free fatty acids. The compensatory hyperinsulinemia eventually leads to B cell dysfunction, declining insulin secretion and hyperglycemia. Fasting glucose levels of 110-125 mg/dL (6.1-6.9 mM) are a sign of Impaired Glucose Tolerance (IGT), a condition which is likely to progress to diabetes. In patients with IGT, diet and excersise reduce the risk of progressing to diabetes. Glucose-stimulated insulin secretion is defective in the diabetic pancreas, and with time appropriate insuline secretion fails. A possible new drug target to stimulate insulin secretion is recombinant GLP-1 or a GLP-1 analog like exendin-4 (Exenatide), a GLP-1 agonist isolated from the saliva of the Gila monster lizard with a longer t1/2 than GLP-1. In clinical trials, exendin-4 controlled patient blood sugar and reduced their weight. Another alternative is to decrease GLP-1 clearance (t1/2 = 1-2 min) by inhibiting dipeptidase IV. There is unrestricted glucose production in the diabetic liver, through increased rates of gluconeogenesis and glycogenolysis (processes normally inhibited by insulin). The defective insulin-driven processes in adipose tissue are still unclear. In the muscle, glucose is not taken up efficiently due to insulin resistance. A new drug target to enhance insulin action in the muscle are a small-molecule activators or inhibitors, for example protein tyrosine phosphatase 1b (PTP-1b) inhibitors. PTP-1b is an ubiquitously expressed tyrosine phosphatase that blocks insulin-stimulated activation of the insulin receptor. 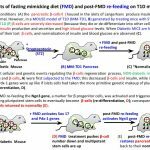 Mice deficient in PTP-1b exhibit increased insulin sensitivity as well as resistance to weight gain when fed a high-fat diet. Since Type 2 diabetes is more of an organ resistance to insulin, no hormone injections are required in most cases, but other pharmacological agents are used to increase the insulin sesitivity of target organs. Oral medications for treating Type 2 diabetes include sulfonylureas, biguanides, alpha glucosidase inhibitors, and PPARg ligands. They can be used alone or in combination according to the needs of the patient. Sulfonylureas stimulate insulin production in the pancreas. Unfortunatelly they may accelerate the exhaustion of B cells and become inefective over time. First generation sulfonylureas include chlorpropamine (Diabinase), and Orinase. Second generation are used in lower doses, thus are safe, and include glyburide (Micronase, Diabeta) glipizide (Glucotrol XL), repaglinide (Prandin), nateglinide (Starlix), and glibenclamide (Euglucon). Because the stimulate insulin production, hypoglycemia is a concern. They are taken with meals. Biguanides like glucophage (Metformin) reduce glucose release from the liver. Since they do not stimulate insulin secretion hypoglycemia is not a side effect. Alpha glucoside inhibitors like acarbose (Precose) and miglitol (Glyset) delay degestion and absorption of sugar into de blood. Alpha-glucosidase is an intestinal enzyme required for carbohydrate digestion. Taken before meals, the alpha-glucoside inhibitors partially block carbohydrate absorption, thus lowering peak glucose levels after meals and controlling postprandial blood glucose levels. The PPARg ligands are also known as thiazolidinediones (TZD), glitazones or insulin sensitizers, and include drugs like troglitazone (Rezulin), rosigitazone (Avandia) and piogitazone (Actos). When used in combination with insulin or sulfonilureas may cause hypoglycemia. Troglitazone was pulled from the market after causing several deaths due to liver failure. 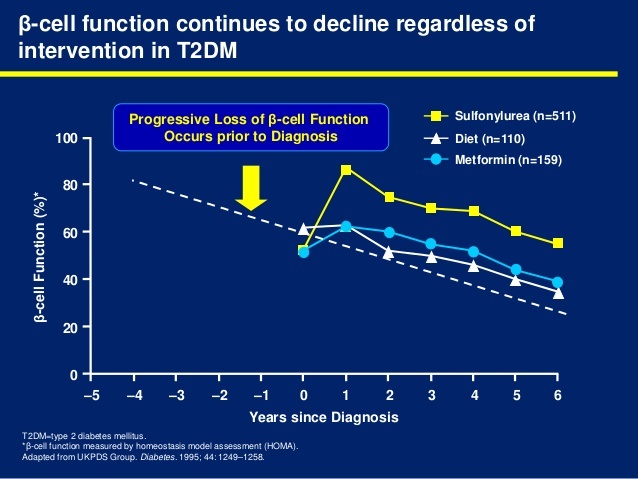 TZDs target insulin resistance by increasing peripheral tissue sensitivity to insulin. PPARg is predominantly expressed in adipose tissue and TZDs mediate changes in adipose gene expression. TZDs increase expression of adiponectin, and decrease expression of TNFa and resistin (adipocyte-derived cytokine, causes insulin resistance and glucose intolerance). This has insulin-sensitizing effects in muscle and liver, but patients often gain weight. Current diabetes research focuses in several areas: genetics, improving blood glucose management, improving insulin delivery technology, and treatments for peripheral tissue damage. Identifying the genes involved in Type 1 and/or Type 2 diabetes should help in the development of new drugs and therapies. Intensive management of blood glucose helps prevent or delay the onset of complications, including the use of better non-invasive blood glucose monitors, excersise, weigth management and diet. Development of anti-obesity agents that reduce appetite and/or increase energy expendituyre will also lead to effective treratment and prevention of Type 2 diabetes. Non-invasive nasal sprays, pills, or pathches, as well as implantable insulin pumps can replace daily injections. Transplantation of donor or artificial B cells is not yet available. Laser treatment could be used for diabetic eye disease. Antihypertensive drugs may prevent or delay kidney failure.